In the first of a series of interviews with experts at INC Research, Marcin Ernst talks about how clinical trials in the field of Immunology & Inflammation are changing. The Immunology & Inflammation field encompasses a broad range of diseases – most notably rheumatoid arthritis, but also systemic lupus erythematosus (SLE), psoriasis, ankylosing spondylitis and psoriatic arthritis. What are the biggest challenges in trial planning within Immunology & Inflammation? I think there are three areas which I would identify as the biggest challenges. The first and most obvious challenge in inflammation and immunology is that it is very competitive – rheumatoid arthritis (RA) is one of the most heavily researched disease areas in the industry. That means there is an enormous number of ongoing studies. The arrival of anti-TNF drugs was really a quantum leap in treating RA, and has changed things absolutely for these patients. The success of all these drugs, and the growth of the market has made it one of the most competitive therapy areas in the industry. The second big challenge is a consequence of the first, and that is patient recruitment is made more difficult as more and more patients receive these drugs – I’ll come back to that shortly. The third challenge is the question of how you manage the clinical endpoints in these conditions, in RA, but especially in SLE. That’s because these diseases produce a complex aggregate of clinical data, and there is lots of room for variability. In other words, there is a raised risk of having studies that are not conclusive, or where the data is not good quality. 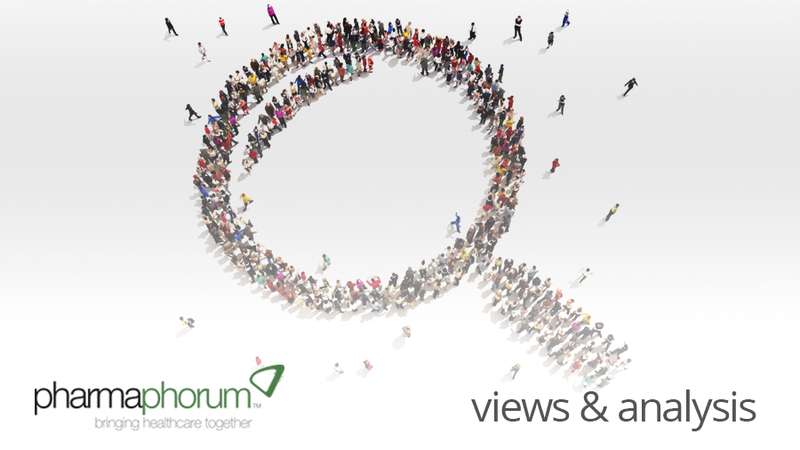 How easy is patient recruitment and management within I&I? The answer to this is straightforward: it’s not easy at all, it’s very difficult! Patients also have greater access to more clinical trials across the world. That means individual patients have less incentive to take part in your clinical trial, and seeking out biologics-naïve patients is getting more and more difficult. This access was once just in North America and the EU, but it has expanded across other regions including central and Eastern Europe and Latin America, which have been the established regions for recruiting patients. One example of the this trend is Colombia in Latin America – it has just opened up its reimbursement on anti-TNF drugs, which will mean its patients will gain greater access, and so generally diminish demand from patients to participate in trials. It is almost like the competition in the market – the patients can pick and choose which trials to participate in, just as doctors are able to pick and choose which drug to give to their patients. Systemic lupus erythematosus (SLE) is a very different story to RA, however. Prevalence is lower and it is not homogenous, and ethnicity plays a role – Eastern Asia, Africa, and patients of Hispanic origin are more likely to be sufferers. SLE also has a lot of different manifestations – cardiac, neurological, dermatological and more. This means that patients will see a lot of different specialist physicians, so an investigator will have to be an interdisciplinary physician. The profile of the disease means that you can’t take all patients – you wouldn’t want SLE patients who just have dermatology problems, for instance. Psoriasis is different again – as it is not such a severe disease, patients are generally less willing to take a treatment which potentially carries more risk. Do you see an impact from the rise of ’empowered patients’ in your trials? The impact of empowered patients has been visible across all disease areas in North America and Europe for some time. This is related to how the healthcare systems work in these countries, and the changing nature of the relationship between physicians and patients. The nature of this physician – patient relationship is different in Latin America. These individual relationships tend to be longer-standing than those in the U.S. or Europe, and there is more trust there. The attitude of patients is likely to be less questioning. One objective measure of this is that we frequently see a response to placebo, which may be higher in Latin America; there also is a higher response to the non-placebo arm, so these differences cancel themselves out, but I think this is an interesting illustration of how patient – physician relationship can be culturally different and how it can affect clinical outcomes. I don’t think there has been a significant shift in the regions outside North America and Western Europe. What impact will the arrival of biosimilars have? Biosimilars also will increase access to novel biologic treatments, and therefore add to the recruitment problems. There are multiple trials under way, and the first biosimilar in Europe was approved last year (Celltrion’s Remsima, a biosimilar version of Johnson & Johnson’s Remicade infliximab). Biosimilars have become a very dynamic area over the last two years, but companies developing biosimilars face a lot of challenges from regulators and originators. The originator companies have a lot of interesting strategies – for instance Roche have just gained approval for subcutaneous rituximab, which will make life very difficult for biosimilar rituximab in the old formulation, which is a lot less convenient for patients and clinicians. The fierce competition in the RA market means that a new ‘me-too’ product in this disease area simply won’t work commercially. So companies with a new molecule will probably have to choose a different path into the field such as not aiming for RA as the first indication, but targeting other diseases, more and more often rare diseases. This may give you entry to the market, and a position from which you can extend your label. What developments are clinicians and patients looking for in these diseases? There is still much to improve on – 30 percent of patients fail on anti-TNF therapy, for instance. In addition, anti-TNF drugs are expensive and are known to increase the infection risk. There also is some suggestion of raised risk of malignancy. The route of administration is subcutaneous or intramuscular, so obviously there are more convenient ways of taking a treatment. One new entrant to the market is Pfizer’s Xeljanz (tofacitinib). It is a JAK inhibitor, which works on a totally different mechanism. It gained approval in the US in late 2012, but not in Europe, because of safety and efficacy concerns from the EMA. The drug hasn’t made a huge impact on the market. It is a non-selective JAK inhibitor and perhaps selective JAK inhibitors would have a better profile. There are others in development which take different routes. How is technology changing the way you conduct your clinical trials? Electronic data capture is able to provide additional efficiencies. In RA there is a lot of data that needs to be collected relating to joints – there are 134 data points per patient visit to collect, and it is quite tedious for doctors to transfer this to the database. You can actually capture all the data through a tablet device, which saves a lot of checks, increases the quality and decreases the time and cost. How are market access challenges affecting trials in this therapy area? It depends on which disease we are talking about – market access for RA is completely different from SLE. If you are able to develop a good working drug for SLE, you will not have a big problem with market access. But for RA, it is very different – ‘me toos’ won’t work. From that standpoint, market access will shape your strategy – and your choice of indications and which patient populations you want to target. For instance, if you have a drug with a completely different mechanism then you will probably be best going for a second line indication in patients who have failed anti-TNF therapy. Whatever your strategy, you need to be aware that you need to provide the regulators with some solid plans regarding your proposed dosing and your toxicology data. You need to let them know early, and give them data to justify your decisions – we have seen an impact on trials for those companies who haven’t done this. What is your advice to companies looking to enter the Immunology & Inflammation field? It is a very competitive market. So firstly, work with someone who really knows the therapy area – as well as the best research sites, the best regions, and how reimbursement systems work. And you need experienced project managers and CRAs. Don’t think that because you did a study in RA 10 years ago that you still know the area – it has changed enormously. Secondly, something which applies to all disease areas – you need to be very sure about the things you want to get out of the trials. Thirdly, be aware of what regulators’ requirements are. You will need to set up early meetings with them. When you are working on biosimilars be aware of different approaches between FDA and EMA. Closing thought: If you have investigators who are trained how to be consistent in clinical assessments that are part of a primary endpoint, you will have a higher chance of success. Training of investigators to achieve high level of consistency across patients and sites is significant added value in SLE or RA trials.